If there’s one piece of art instantly recognizable by anyone over the age of three, it’s the Mona Lisa. 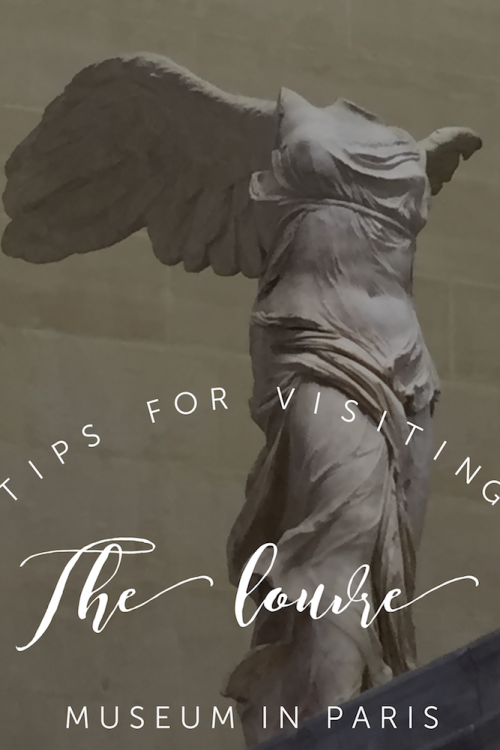 So, if you are visiting Paris, heading to the Louvre Museum, where she makes her home, should be on your list of must-do’s, along with a stop at the Notre Dame Cathedral, a short walk away. Both will move you and leave memories to last a lifetime. Photo by Desiree Miller, Family Fun Mom. 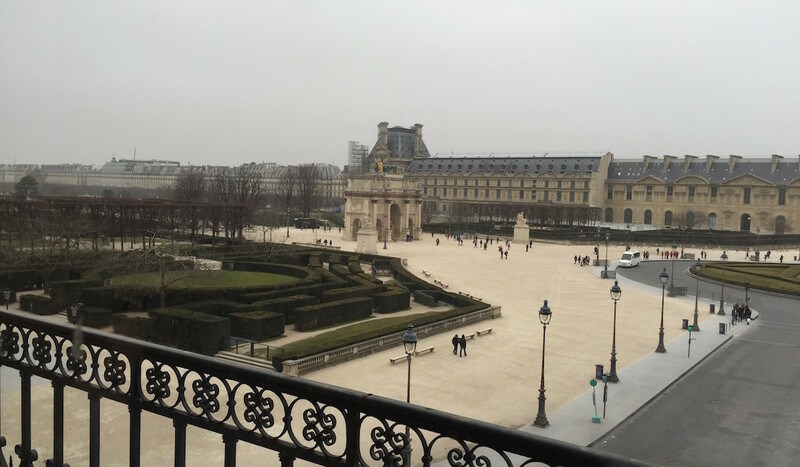 The Louvre is not only a massive museum, but there are gardens throughout the grounds worth spending time in while you visit. Admittedly, the Eiffel Tower is the must-see on most tourist’s lists when in Paris, but right behind that, be certain to spend some time at the Louvre museum and the Cathedral of Notre Dame. There are tours offered for both, but on our recent trip to Paris, we visited both spots without a guide. We had very limited time, so I booked tickets to the Louvre through their site online. It’s closed on Tuesdays, so keep that in mind when scheduling. If you can visit on the first Sunday of the month, it’s free (from October to March). There’s no charge for children under 18, along with art teachers, those with disabilities and those who are unemployed (read the website for details—also check the calendar because it closes for certain holidays). We didn’t want to pay extra for the ‘skip the line’ tours, so we booked our tickets (15 euros each) for first-thing—right at 9 a.m., when the Louvre opens. Knowing we wouldn’t have a guide, I also rented some Nintendo Gameboy audio guides, offered through the museum. Honestly, I have to admit we never figured out how to work them, so don’t skip the how-to when you pick yours up at the rental desk. It’s important to note that we had checked out of our hotel that morning, so we had our backpacks with us (we were traveling super light on our whirlwind trip), and we were able to leave them with the coat check. We were given a map/program when we walked in and that served us well on our quick visit. We wanted to get to the Mona Lisa before the huge crowds, so we went straight to the room where she’s kept first. I have to stop here and explain the Louvre is massive. HUGE. Originally a fortress built in 1190, the Louvre was a royal palace for French kings for a long time. Then, the monarchy moved out to Château de Versailles. The first ‘Louvre Museum’ opened in 1793, during the French Revolution, with a collection of only 537 paintings. Now it exhibits more than 73,000 square meters of Western artworks from the Middle Ages to 1848, as well as the art of the ancient civilizations that preceded and influenced them. There are 35,000 artworks are on display, the oldest of which dates back over seven thousand years. You could wander the halls for days and still not see it all. We had just a few hours, so we embraced what we could…hundreds of pieces, including the following masterpieces. Photo by Desiree Miller, Family Fun Mom. The famous Mona Lisa. That meant all in one morning, we were able to see the Mona Lisa—or ‘Portrait of Lisa Gherardini, wife of Francesco del Giocondo,’ reflecting a time when the beauty of the body was seen as that of the soul (what a nice thought, right?). Also interesting to note: the colors darken as the varnish ages: the sleeves, that now look brown, were once saffron yellow. Photo by Desiree Miller, Family Fun Mom. Aphrodite, the ‘timeless masterpiece’. The Venus de Milo—or Aphrodite—sculpture, which some say dates back to 100 BC (others say she’s older than that) was next. She’s considered a timeless masterpiece. I think my favorite was the painting The Coronation of the Emperor Napoleon I and the Crowning of the Empress Joséphine in Notre-Dame Cathedral on December 2, 1804… It took David three years to complete this massive painting commissioned by Napoleon I to immortalize his coronation. It’s stunning, but also, it was something to see that painting, then walk over to the Notre Dame Cathedral to see it firsthand (that post is coming soon, so stay tuned). Previous Post: « Is the Panasonic ZS60 Camera a Good Fit for Families?